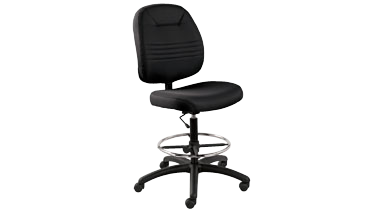 Features a height adjustable seat and chrome foot ring. Armless. Ready to assemble. Fusion Fabric. Carbon.